I don’t know any parent especially mom who has not kept a drawing of her child. I am guilty of this! The moment lil’ Ms. JG held a crayon and started to doodle was the time I became a drawing hoarder. Hahaha. I mean even if it was just a bunch of scribbles and lines, I kept most her drawings and now her brother’s too! But condo living doesn’t give us the luxury to keep those precious doodles. Eventually I ended up scanning some of our favorites and storing them on my external hard drive instead. Here’s one of lil’ Ms. JG’s recent drawings. Intentionally she drew this for her brother who was asking for a family doodle! 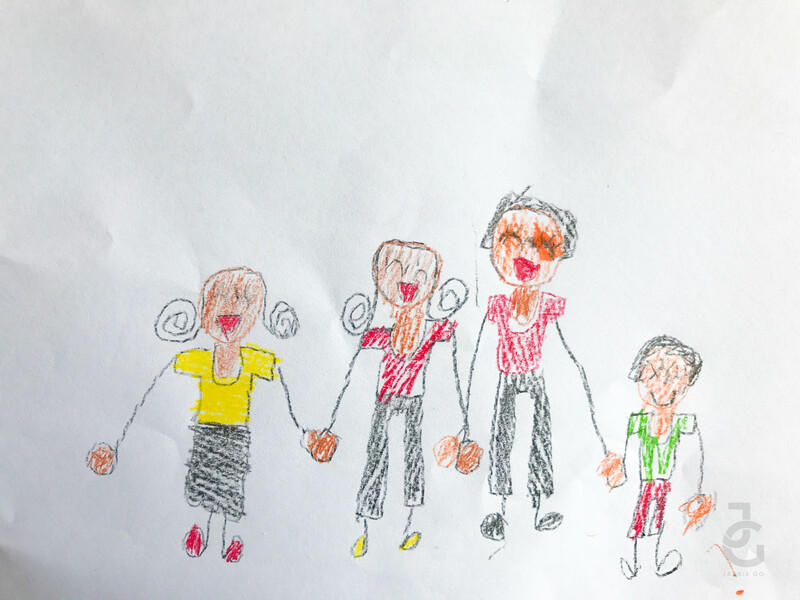 I took a photo and scanned it to remind me of the time my 7-year old drew our family. Now if you could turn your child’s drawing into something wearable wouldn’t you? Thankfully there’s a momma who thought about immortalising her child’s precious doodles and created Bubba Doodles. 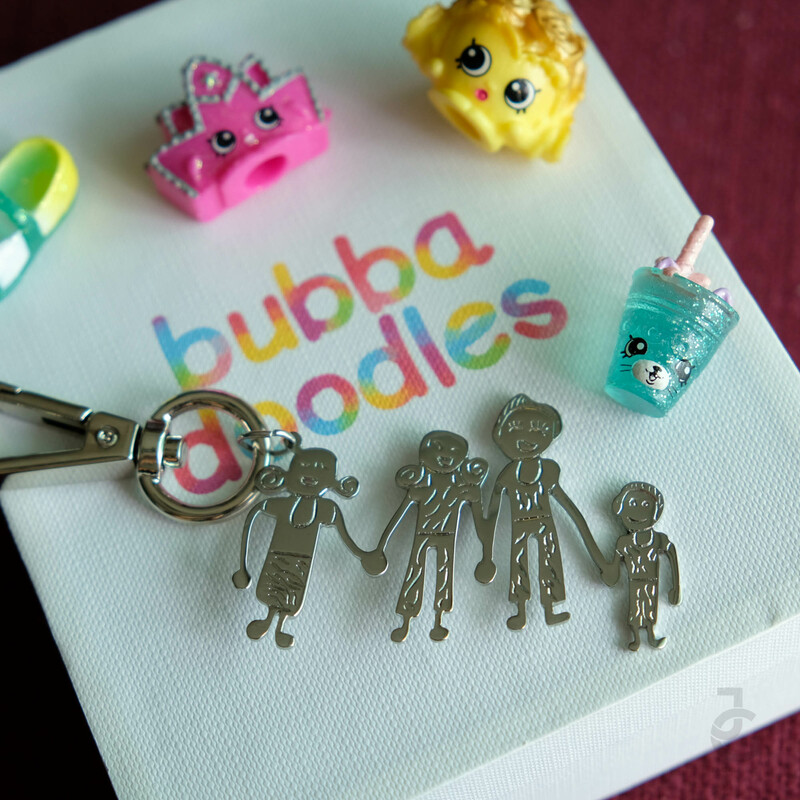 Bubba Doodles was created with two things in mind: 1. That no mom can ever throw away any of her child’s drawings away. (They’re just way too precious!) and 2. There is nothing more exciting to kids than seeing their imaginations come to life. 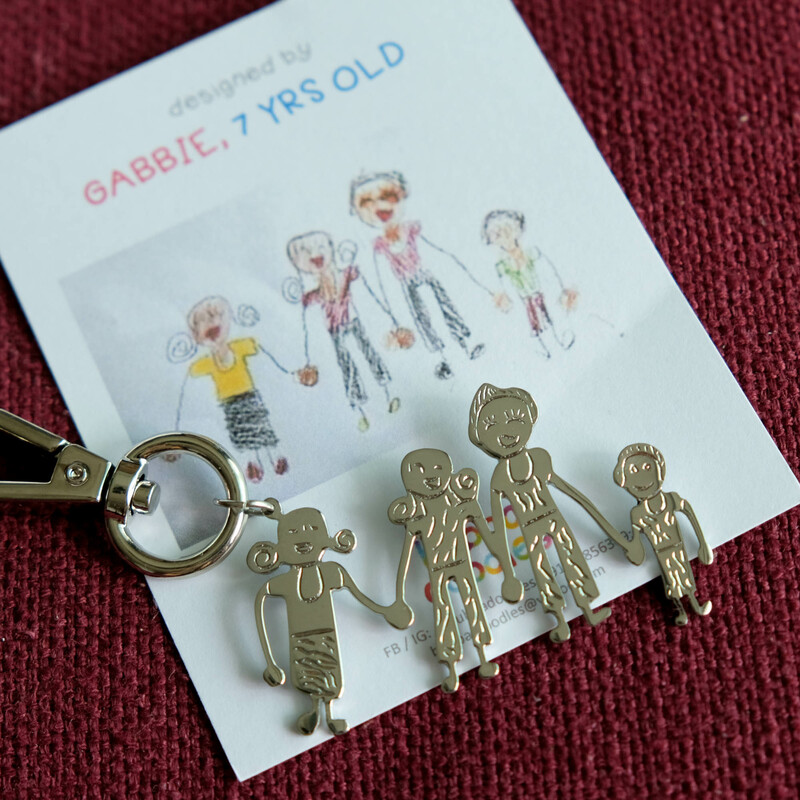 So the drawing of Gabbie was turned into a lovely stainless keychain! 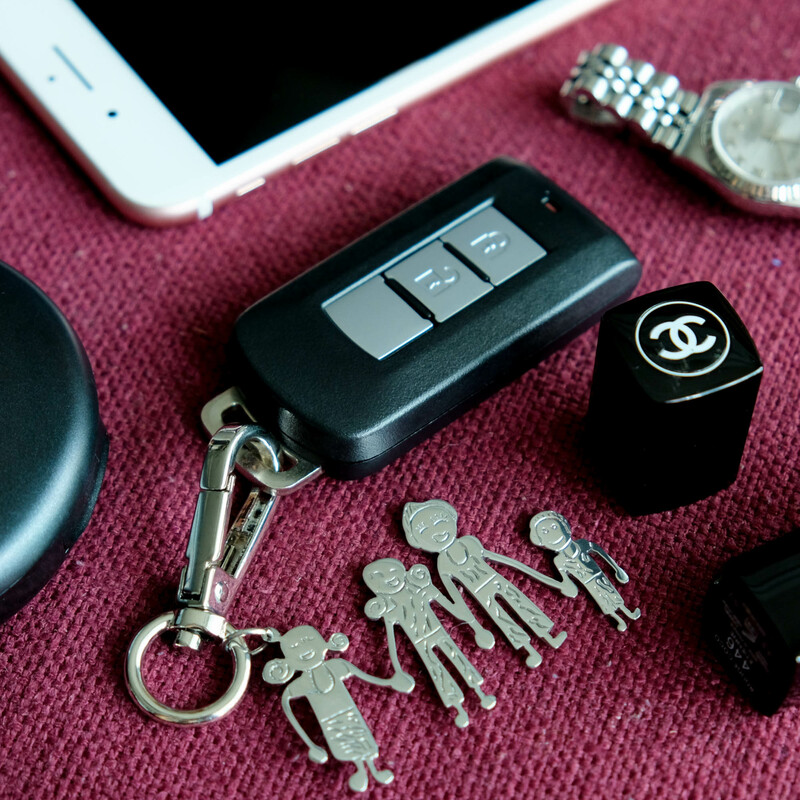 I’ve been using my Bubba Doodles keychain for my car key. Love, love, love it! I think this makes for a perfect gift for your nieces or nephews or for your friends with kids! Thank you Karen for creating Bubba Doodles! That is really cute and parents like me certainly will collect them! Wow! This is cool! I watched a video of parents getting their kids’ drawings as tattoos, and I think it was a fun way to preserve their kid’s art…but it’s just a bit extreme for me. haha. I guess this one is more doable and practical! haha. Thanks for sharing. Yes, this is waaaaaaay more practical! Heehee You’re welcome!